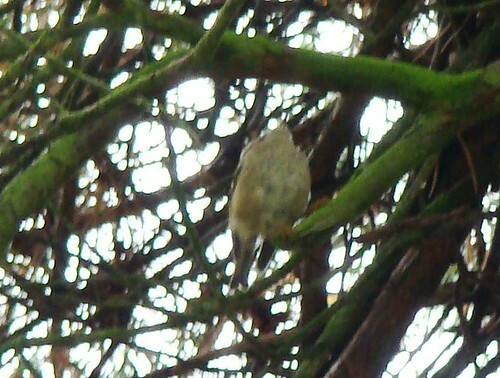 for a while I thought I had a Firecrest, but it turned out to be the Goldcrest. The goldcrest is a dull olive-green bird with pale whitish underparts and a conspicuous gold stripe on its crown. This stripe is orange in the male (as in my 1st photo) and yellow in the female (as in the photo below from flickr). 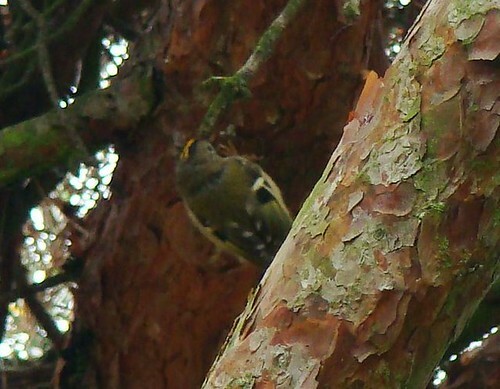 It lacks the black eye stripe and the white supercilium and the dark eye is easily seen against its whitish face (the eye is less distinct in the firecrest). The thin bill is black and the legs are brown. There are also two whitish bars and a dark mark on the wing. 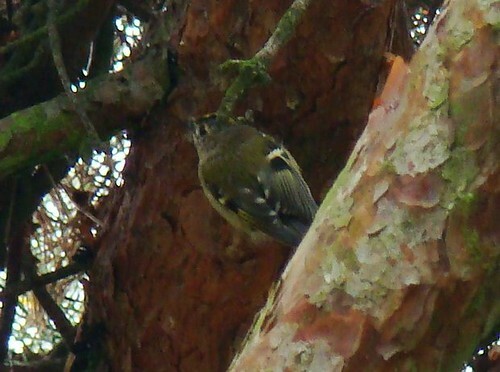 Both goldcrests and firecrests are hard to spot and that is where the identification problems arise. 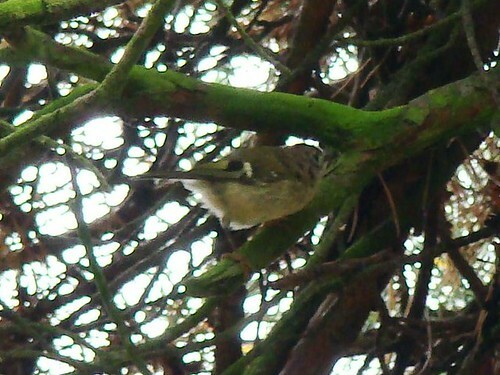 Anyway, here`s a link to a Goldcrest nesting video with 9 chicks!